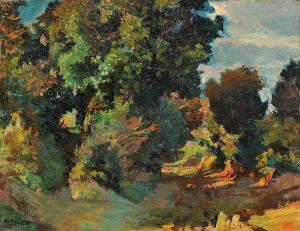 Find artworks, auction results, sale prices and pictures of Mario Puccini at auctions worldwide. 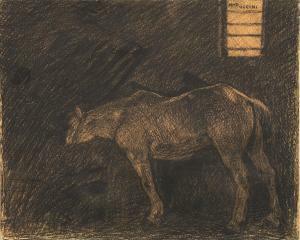 Mario Puccini is regarded by many as the greatest of the Post-Macchiaioli artists. 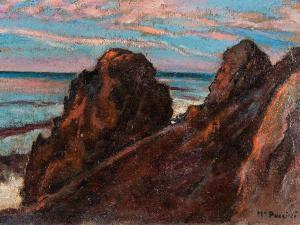 This small painting depicts in strong colors a rocky coast in Italy. 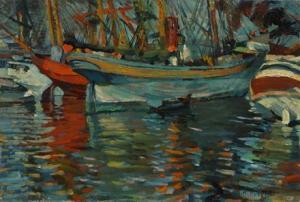 The landscape paintings by the artist from the first decade of the 20th century show his special interest in color. The painting is signed lower right \\‘M. Puccini\\’\\’\\’\\’. It is besides a small unevenness in the lower left corner in very good condition. The frame shows minimal traces of wear. 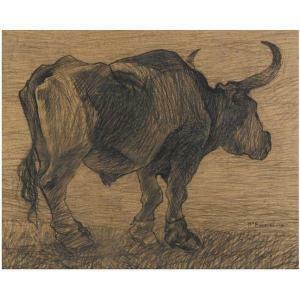 The image measures 19 x 26.5 cm and the dimensions of the frame are 42.5 x 50.5 cm.